We work really hard to be responsive and easy to reach. You can call us at 410 267 0137 from 9am to 5pm, Eastern Standard Time, Monday through Friday, and 9am to 1pm on Saturdays. You can fax us anytime at 410 267 5689. Email is a great way to get ahold of us. We try to answer email seven days a week, and within 24 hours, although response times will vary. If your email account issues challenges (eg. 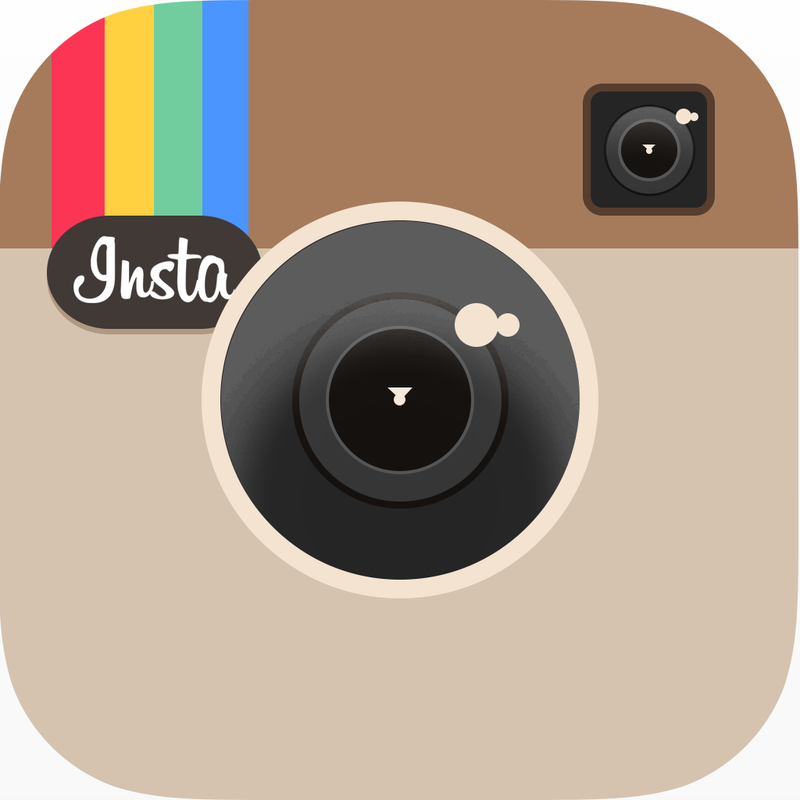 Earthlink) or filters aggressively, you might not get a response or order updates from us. We respond to ALL emails, so if you don't hear from us, there might have been a typo in your email address or our response was filtered. We have a huge store and showroom, too! Love to see you here in Annapolis if you can make it. At the store you can order and pick up boat kits and accessories, talk to staff, and tour the boatbuilding shops. Click here for directions. Boat Kits: After you place your kit order it's handed over to our shipping manager, who will email you with an estimated shipping date. If we have your kit in stock, we'll ship it immediately, within a day or two. If we need to build your kit, turnaround will take longer, and it will be fabricated during the next scheduled production run for that model. Everything in your CLC boat kit is manufactured and packed right here at our Annapolis, Maryland factory, by highly skilled artisans, and to maintain quality we can produce them only so fast! If your project is especially time sensitive, just let us know and we'll do absolutely everything we can to accommodate your schedule. Whether you place your kit order online or over the phone, you will receive an email with a shipping date, and updates if it changes. You'll also get an email with tracking information once your kit ships. Kits are shipped by freight truck and will take 5-7 days to arrive at your door, depending upon where you live. Rural areas may take longer. The kit boxes are too large to ship via UPS or other small package carriers. PocketShip and Peeler kits are shipped in large crates, and special arrangements may be necessary for off-loading from the delivery truck. The shipping company will call to arrange for the final delivery once it arrives at the local terminal. Picking up your kit at the shipping terminal is an option as well. Accessories and other items will be shipped the next business day if possible. We'll use UPS or USPS for shipping on most of those items. Overnight or faster shipping options are available. Just ask! Here is an overview of our shipping costs. Canadian customers, click here to learn about shipping to your country. Billing Policy: Credit card transactions are processed individually by CLC. Orders of supplies and accessories are charged on the same day that the order ships from our facility. Orders that include boat kits are usually charged as soon as they enter the kit-production cycle, which may be days or weeks prior to shipment. Backorders: If an out-of-stock item will significantly delay shipment, we will ship the balance of the order immediately and send the out-of-stock item as soon as it becomes available. Generally, the order will be charged in its entirety at the time of the initial shipment. Charges on expensive backordered items, such as oars and rowing units, are normally delayed until the time of shipment. Return Policy: Supplies and accessories will be refunded at full price, as long as they are returned in new condition. Boat kits in new condition will be refunded less a 20% re-stocking fee. A complete inspection of boat kit components are required prior to issuing a refund. The customer is responsible for all return shipping costs. Refunds are to be issued to the original purchasere only, proof of purchase is required. Boat kit returns will not be accepted after 120 days. Return Procedure: Securely pack all items and return them to the address listed below. Please include a copy of your original invoice or a note with your order number, name, address, phone number, email address, and a reason for the return. We will NEVER share or sell this information or share it with any third parties. 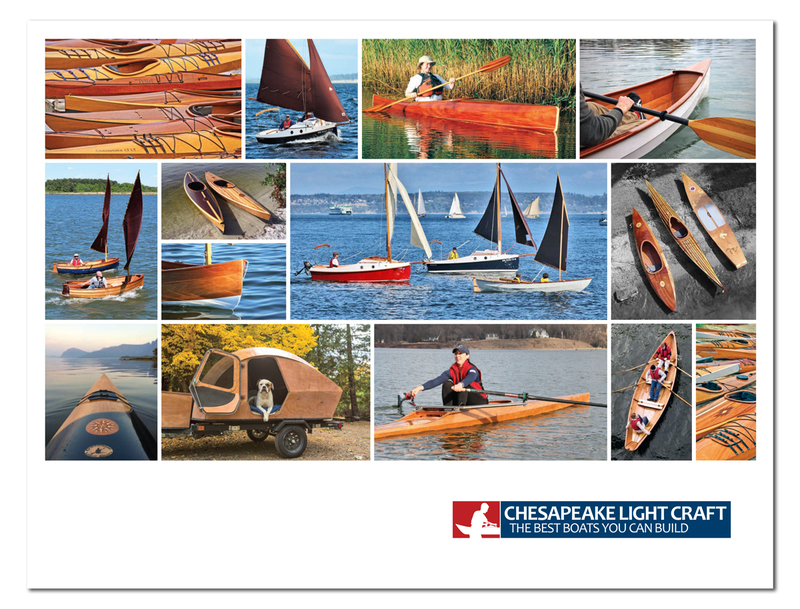 Discounts for Active US Military: Chesapeake Light Craft offers a 5% discount on all boats kits and nearly all merchandise* to Active US Military Personnel. Use the promo code usmilitary during checkout online to activate the discount. A Valid Military ID will be required before we process your order---you may fax it to us at 410-267-5689. Please include your invoice number on the fax. 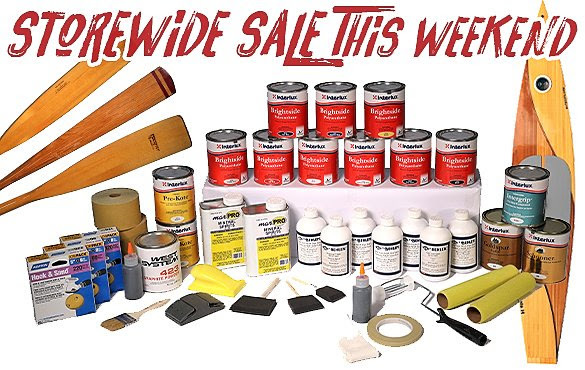 *Discounts are not available on Sculling Oars, Drop-in Rowing Units, Trailex & Grain kits, Marine Plywood, and Marine Lumber. This discount may not be combined with other promotions. CLC has maintained knowledgable sales agents for our products around the world since 1994. These companies maintain an inventory of many of our kits, plans, and accessories and provide technical support.